While many professional services firms and localization companies publish information limited to their own service offerings, it’s understandable that people like to balance this with truly neutral first-person shared experiences. If it’s not available from within your own personal network, it can be hard to find. 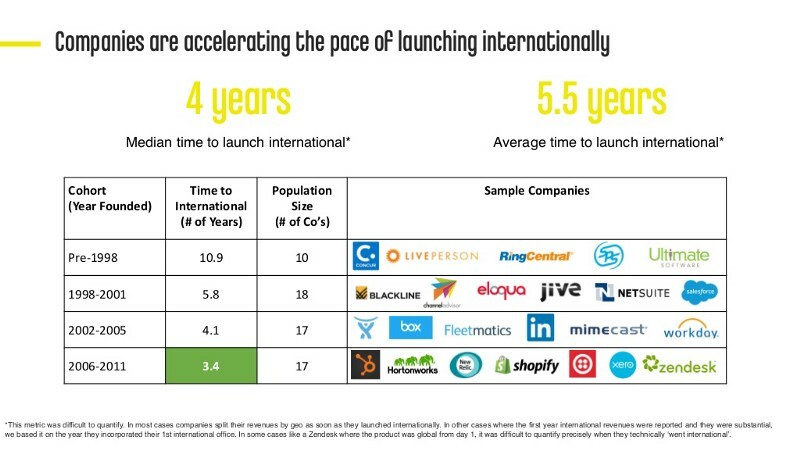 Which is why I thought it might be useful to bring some sources together here as a spring-board for those who wonder if they’re ahead of the international curve, or lagging behind the competition. After all, despite there being evidence to show that companies with more global exposure grow materially faster than those with less international presence, currently only 43% of S&P 500 revenue comes from outside the United States. The link above will take you to the first resource I wanted to share — a presentation delivered at SaaStr Annual 2018 by Aatif Awan, VP Growth & International Products at LinkedIn. 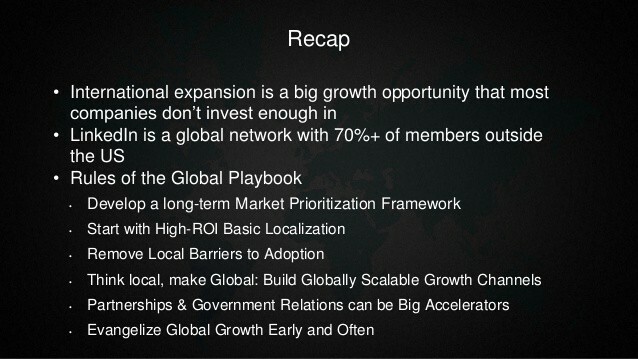 It’s a great slide deck outlining the journey LinkedIn have taken to grow their business to 540+ million members across 200 countries and global territories. More importantly perhaps, it provides some quite specific and practical guidelines on how a product can be developed and positioned to thrive in a truly global market. Scott Sage, of London-based Crane Ventures, has also taken a deep dive into some of the most globally successful cloud software companies to find out what lessons can be learned from their first steps into international markets. His research uncovers some incredibly valuable data and insights, rounded off with a case study looking at Salesforce’s journey to become arguably the world’s most successful SaaS company to date. From a B2C perspective, Shawn Xu conducted an in-depth interview earlier in the year with Pinterest’s International Lead, Scott Coleman. Covering a broad range of topics ranging from content and growth metrics, to the biggest challenges to international growth, the transcript provides a lot of information for anyone charged with developing the international plan for their SaaS business. Shawn describes Pinterest as “a fantastic case study for why a technology company should, and indeed needs to, build a global platform to cater to markets outside of its home territory” — an accurate summary in my view. Moving more specifically towards the language and localization elements of international development, there are a number of useful first-person resources available online. 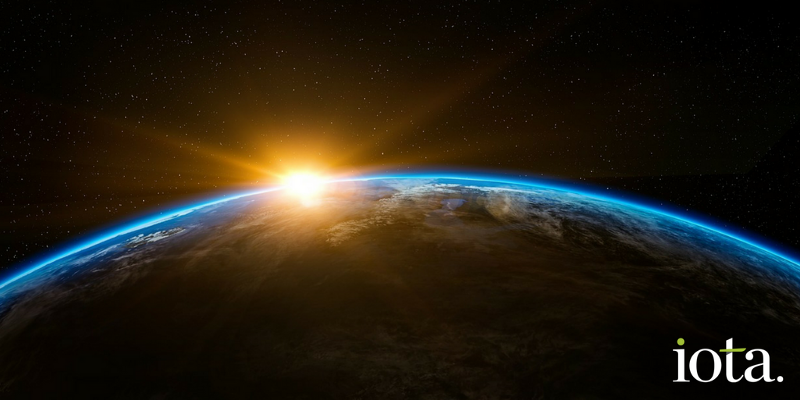 Language industry specialist Slator interviewed Teresa Marshall, Salesforce’s VP of Globalization & Localization to learn more about the language strategy that has underpinned their phenomenal international growth over the past decade. In total, Salesforce manage millions of translated words each year across more than 34 languages. Many more in-depth interviews on the topics of localization and translation can be found at Globally Speaking Radio, including a podcast with the aforementioned Teresa Marshall of Salesforce, an episode featuring Tableau Software’s Daniel Sullivan, and an interesting discussion about avoiding cultural mistakes with Michele Coady, Microsoft’s Director for Global Readiness. As you can see, there’s no shortage of first-person opinion and data out there from SaaS experts driving international growth day-to-day, but it’s not so easy to ask questions if you don’t have suitable contacts in your immediate network. The team at Iota have a wide range of relationships with people at all levels in the SaaS ecosystem. If you need any help or advice, feel free to contact us and we’ll do our best to put you in touch with someone who can help.